Another 5 star service from Angus. This time it was my daughters Polo MOT and service. Angus arrived on time picked the car up serviced it and MOT then delivered it back. Cant thank him enough. Would highly recommend. Angus was great. I would recommend this mechanic to all my family and friends. Picked the car up serviced it and mot. Then delivered it back 5 star service. 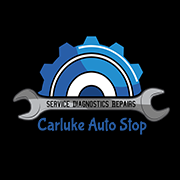 Great service highly recommend will be using again !